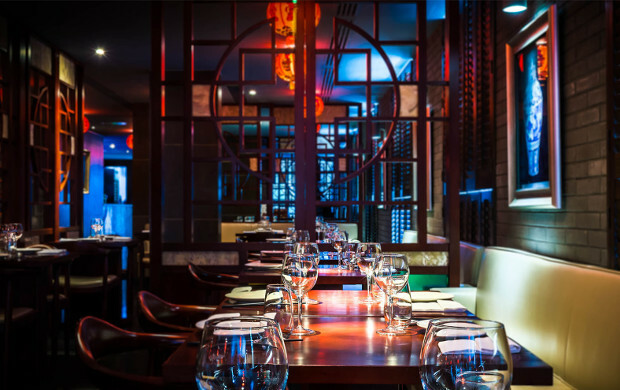 Shikumen presents Chinese fine dining and handcrafted dim sum within the sleek Dorsett Hotel in Shepherds Bush. 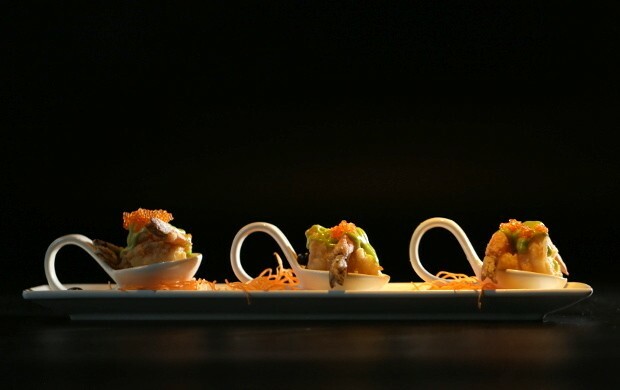 Shikumen means “stone gate,” and the restaurant takes its name from traditional 1940s Shanghai architecture, which blends Chinese style with Western colonial design. 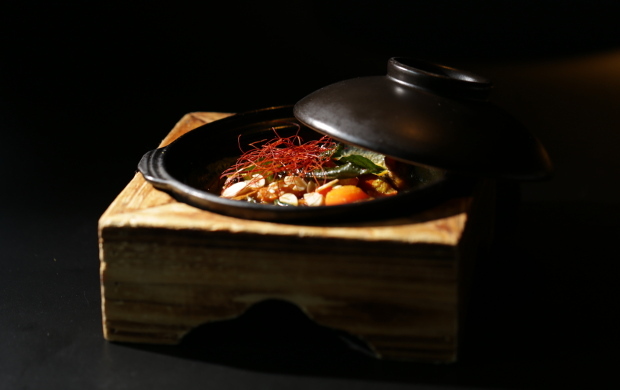 This East-meets-West influence carries over into the cuisine: though guided by timeless Cantonese flavour profiles, Shikumen uses British produce and the menu is modern enough to sustain a sense of approachability. With the glow of red lanterns and the sheen of red mahogany, Shikumen feels worlds away from the sometimes shoddy hustle and bustle of Shepherds Bush. It helps that the restaurant is sheltered inside the smart Dorsett Hotel, a 4-star property with high ceilings and cool modern art sculptures. Like the Dorsett, Shikumen’s interior is handsome and Eastern-inspired. It’s a long, tunnelling space, and the tables are well positioned so that it feels roomy but still vaguely intimate. It’s the perfect space for large parties, but also snug enough for couples. It’s a real shame that the crowd is so casual here (and when I say “casual,” I’m being polite). On a Saturday night, there were trainers galore, not to mention sweatshirts and tracksuit bottoms—all of which were not being rocked in a trendy Kardashian manner. The place was also literally crawling with kids. Thankfully, the restaurant was busy (almost packed solid) and not all patrons carried the same sartorial disregard. There was a good mix of groups, couples, and families. 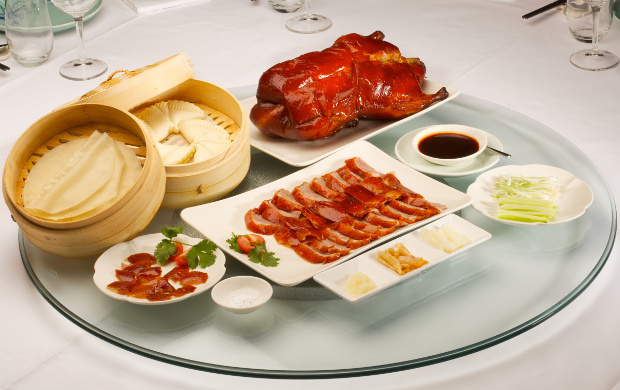 Please promise me you’ll order the Legendary Roasted Peking Duck? With a glossy, crisped skin the colour of treacle, a snowy layer of fat, and butter-soft meat, the Peking duck—available in half (£29.90) or full (£53.50) portions—is exquisite. It’s carved tableside and served with fluffy buns and either duck soup or duck fried rice (along with the all the usual trimmings like hoisin sauce, green onions, cucumbers, and pancakes). Some of the mains missed the mark. I won’t be reordering the Sanpei Chicken Claypot (£11.50), as the chicken was fatty (though its dark, rich sauce was superb), or the Penang Fried Ho Fun with Beef Fillet (£9.50), as the beef was tough and chewy. But these two dishes were the exception, not the rule. Everything else was tender, well cooked and expertly seasoned. The service—though not unfriendly—was a little… how should I put it? …strange. There are a few reasons why, but I’ll stick to two examples. After we placed a massive order of cocktails, dim sum, duck, rice, main dishes, and wine, we left the delivery up to the discretion of our waiter. Ten minutes later, our not-small table was completely overtaken by an onslaught of nearly every dish arriving all at once: the cocktails were set down along with the appetisers, the wine, the dim sum, and the massive Peking duck, with all of its many accoutrements. There was literally not even room for tap water on the table. It’s beyond me why our waiter decided to bombard us with food and booze like that a mere ten minutes after sitting down and ordering. It was abrupt, overwhelming, and many of the dishes grew cold before we could get to them. Additionally, we ordered a half Peking duck and a whole duck was mistakenly served “because the buttons were close to each other” on the till. It was a happy mistake since the duck was sensational, but it felt wasteful to serve us all that extra food. So we asked for the rest of the generous portion to be wrapped up for us to take away, at which point another waiter presented us with a bag and boxes. My husband and I stared at the waiter, and then each other. We all waited in silence until it became clear: we were expected to pack our food ourselves. This was bizarre and frankly, annoying—especially since this is a fine dining establishment. However, the unusual service was forgivable since the food was so on-point. Also, the prices can be summed up easily: they’re excellent. With the cocktails topping out in the reasonable £10 range, starting your meal with a drink is an excellent idea (I recommend the neon green Jade Cocktail with green Chartreuse Midori, lychee liqueur, fresh lime, and lychee, since it’s a palate-prepping mix of sweet and sour). The wine list is decent and affordable, and Shikumen’s decision to pair our food with a fruity Beaujolais (Fleurie Clos des Quatres Vents) was a smart, suitable choice. There are also lots of non-alcoholic drink options and a Chinese tea menu with about six different tea options. Authentic Cantonese dining and dim sum within the Dorsett Hotel.